Established in 1979 Price Kitchens have been designing and fitting bespoke kitchens to the Banstead area and beyond for over 30 years however we are pleased to announce that we have recently started selling bedrooms too! Whether you want traditional styles or contemporary bedroom designs, Price Kitchens offer customers the complete package when it comes to designing and fitting a new fully featured bedroom suite and our rates offer unbeatable value. 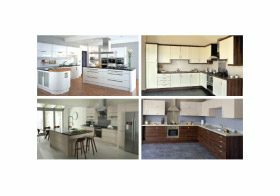 Our comprehensive experience as the number one kitchen company covering Banstead now extends to bedrooms and we’re confident the service we offer won’t be beaten. So for stylish fitted bedroom designs, including all fixtures and fittings, get in touch with Price Kitchens, the new choice for bedrooms in Banstead. Get in touch with us here to find out more about our designer bedrooms in Banstead or visit our showroom to explore our great designs for yourself.